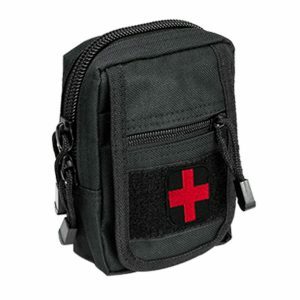 This article is intended to provide some ideas of things that can be included in any backpack or daypack that may help the owner increase their odds of survival in an emergency. We will primarily focus on schools since they are primarily Gun Free Zones (Gun Free School Zone Act) but broadly speaking this can apply to many of us. A large number of us leave the house with a bag of some sort each day. Be it your backpack, purse, briefcase, portfolio bag, etc. It is growing increasingly common for us to transport a laptop to and from school/work and it makes sense to have a bag to protect it. Millions of children and college enrolled young adults use a backpack every day to transport books and other school supplies. You probably have family members who are students. Kids, grandkids, nieces/nephews, etc. A lot of the below ideas very easily apply to whatever bag you use regularly in your vocation or daily activity. Since the things you are allowed to take on a plane are comparable to things kids can take to school these days you could at very least apply this to your carry-on next time you fly. In life, there are a lot of things we want to be prepared for. Crime, natural disaster, etc but of all the things that I can think of the most likely to occur is some sort of medical emergency. Every day people get cuts, get into car accidents, have heart attacks, and need medical attention. Having a first aid kit of some form makes complete sense. In my 8-year-old kid's backpack that first aid kit is going to be fairly simple mostly made up of band-aids. There are a lot of places where my children and I may not be able to have a firearm but something I can take anywhere is a ballistic “bulletproof” panel. There is a large market for these things these days because it is such an easy way to add a layer of protection. Just insert the panel into a backpack and you now have something that will stop all handgun ammunition. Add a textbook or 2 to the bag and you may be able to stop rifle rounds also. These are not inexpensive, with quality inserts running close to $100 each but it is a one time purchase that will last many years (and arguably forever). 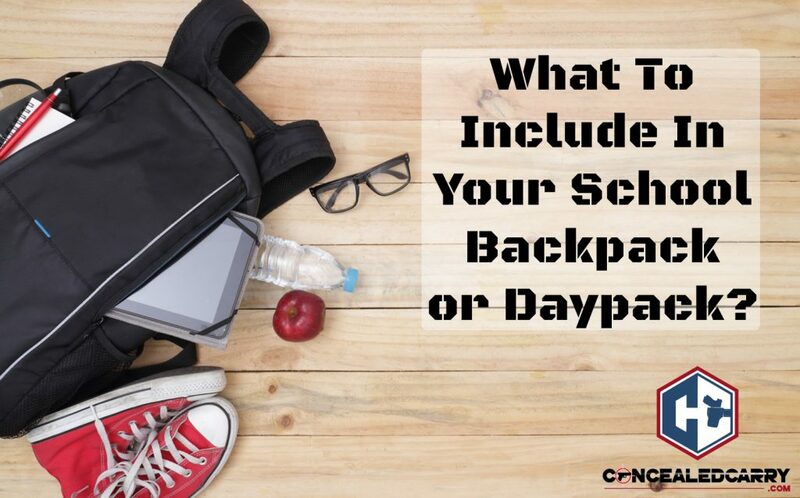 My young children can very easily understand the concept and practice of hiding behind their backpack or putting it between them and the shooter should they ever be involved in an Active Shooter situation. For me, it is an easy and effective solution that can be universally applied anywhere. What are other things you put into your child's backpack or you find are useful or valuable in being prepared for a worst case scenario? Let us know in the comments below. Beanie cap for warmth or disguise. Yard size garbage bag for rain coat or multipurpose. Good article. Always teach your family how to be prepared and then set the example yourself. It’s too bad that schools are such snake pits and that kids have to be so careful about everything they do and say. You really have to be careful what you let them take to school, but as the author points out there are things you can equip them with. But the most important thing you can do is to train them to have a plan in the event of an emergency and how to carry it out. That’s something no school rule can take away from them. In Louisiana it is illegal to wear body armor on school property!! Great article. I have all of the items listed in my edc carry bag. Keep up all the great work. Leave a Reply to christopher Click here to cancel reply.